• Are there any Binary.com Complaints? • 7 Binary Options – Are there any Binary.com Complaints? Binary.com is an extremely popular and respected broker among those who are interested in binary options trading. Some of you are probably wondering if there have been any complaints lodged against Binary.com. 7binaryoptions.com is pleased to report that we have not received any complaints regarding this broker or their trading platform for the past several years. Here at 7binaryoptions, we highly recommend trading with regulated binary option brokers as they must strictly adhere to rules and regulations. Binary.com is regulated by the Gambling Supervision Commission in the Isle of Man, as well as the MGA (Malta Gaming Authority). This provides traders with a sense of security as they perform their trades in secure environment because they know that they get full protection in case if something went wrong. Being a licensed and regulated broker is another reason why traders trust Binary.com and chose to trade with them as their favorite broker. Binary.com is always transparent when conducting business and is in no way associated with any of the many binary scams that are popping up everywhere. Binary.com is the proud possessor of the 7binaryoptions.com’s Secure Binary Broker Certificate that is awarded to only the most trustworthy and reliable brokers by 7BO. Traders must continue to provide quality service to their traders, as this certification is only valid for a short period of time. This is yet another reason we think Binary.com is an outstanding broker. Is Binary.com brokerage platform is scam? To answer one of the most common questions any educated binary trader asks when searching for a broker like Binary.com, no Binary.com is not a scam. It would be highly unfair to both our readers and those associated with Binary.com to say such a thing. It is understandable, however, that with the number of binary trading platforms available online today, that traders are overly-cautions. Binary.com was launched over 14 years ago and has been one of the leading financial betting websites since its origin. Since then, Binary.com has been able to update and modify its range of products multiple times. They offer a wide variety of options for binary trading. Binary.com is owned and operated by the Regent Markets Group, which was previously known under the names Fixed Odds Group and BetOnMarkets. They have had outstanding success since their origin and have been a favorite amongst those traders who love to gamble in the financial market. We see no reason for concern when working with Binary.com as they are considered among the best traders in the business. However, before registering with Binary.com, you should be fully aware of the type of services they offer as well as their features of their trading platform. The Binary.com trading platform is designed for those who are new to binary options trading as well as advanced traders. All traders have full access to the demo account with virtual money once they make a minimum deposit with Binary.com. Binary.com is not a scam. It offers a safe and reliable trading experience for all of their traders, along with the help of their highly skilled team. At the present time, Binary.com is among the premier platforms when it comes to binary trading for both novice and experienced traders. 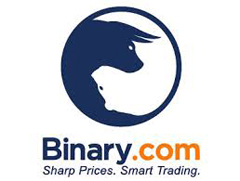 Their outstanding services have drawn many traders to Binary.com. There has been a great deal of confusion in the United States regarding the legality of binary options trading. This can be attributed to the recent growth of offshore binary trading, OTC contracts and the off-exchange which is currently being offered. Binary.com USA is a gray area, not as much due to the legal nature of the matter, but rather about being listed as a legitimate and authentic exchange in the U.S. The legislation hinges on whether brokers and binary options firms are properly registered or regulated to provide trading contracts to US residents at this time. 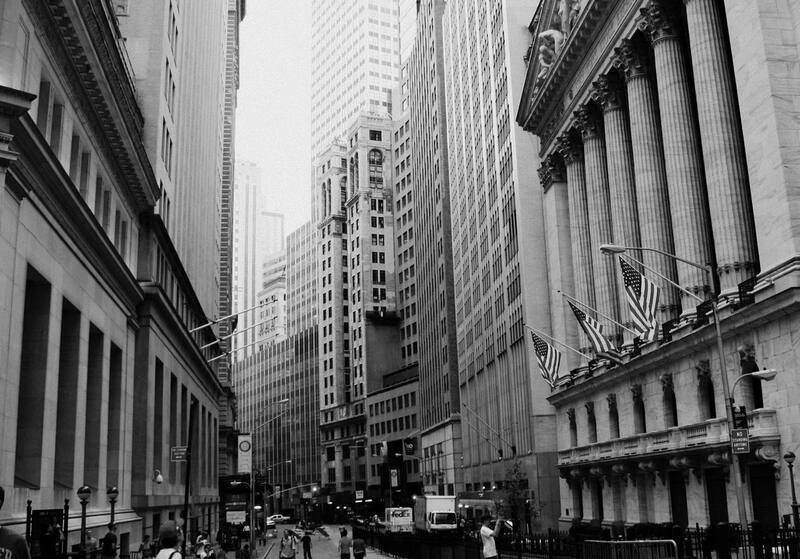 At the current time, offshore brokers are unable to trade with retail consumers and residents in the United States. The law strictly prohibits solicitation of US resident to trade in commodity options, even if they are defined as prediction contracts, unless they are legally exempt or listed specifically for the sole purpose trading on a CFTC registered exchange. Binary trading has a fixed payout which is generally determined at the very start of the trade. If the prediction is in fact accurate, the trader will get the agreed upon payout. However, if the prediction is not accurate, the trader loses their initial bet. These options are labeled as binary options because there are only two probable results: correct or incorrect. Binary trading is flexible as traders are able to execute trades in various markets ranging from stocks to currencies and from indices to commodities. They can participate in every type of market transaction such as up/down, touch/no touch and stays in/goes out. Payouts range from one dollar to hundreds of thousands. It is a great option for both novices and professional traders. Professional investors and bankers prefer to trade in the binary options market as the over-the-counter markets are now derivative. USA traders are feeling rather put out as many professionals in the financial trading industry prefer to use the Binary,com platform as it extremely flexible for high volume trading. Binary.com, formerly known as BetOnMarkets.com, was owned and operated by Binary LTd. It is regulated and licensed in the Isle of Man. Binary.com has been offering financial trading opportunities on a global market for over 15 years and has over three hundred thousand clients at this time. They are now expanding their wide range of services by offering a wide array of Smart Indices in their launch of Outperformance Indices. These measure the performance of indices in relation to one another. The indices amount to ratios of spot pricing for all underlying markets multiplied by the figure of one thousand. Binary.com is regulated by the Gambling Supervision Commission in the Isle of Man as well as the Malta Gaming Authority. They received their online gambling license in August of 2012. They were once known under the name of BetOnMarkets. Binary.com runs its platform in a transparent way under the direct supervision of the proper regulatory authorities. The above facts are indicators that Binary.com is 100% legitimate as Binary Option Robot. They also belong to the Regent Markets Group. They use their own platform, which offers some unique and outstanding features that are highly innovative in the binary options market. These features include expiry times, asset classes and betting amounts. The platform is extremely easy for new traders to navigate. It also offers bonus features to those traders who have more experience such as it advanced charts and technical indicators. These helpful charts help traders make an accurate technical analysis of the probabilities of a particular trade. Binary.com is also well known for as having one of the fastest expiry times on today’s market. Binary.com’s trading platform offers its traders a “Tick Trade” in which they can predict where the market will increase or decrease after five ticks. In other words they are trading with a ten-second expiry. 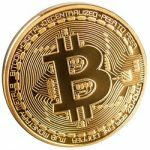 Binary.com is perfect for those traders who are looking to place some quick bets. Binary.com is the perfect place for those new to binary options to get some experience and training. They offer a wide amount of tutorials as well as explanations about the basics involved in binary options trading. Since Binary.com is licensed and regulated, traders need not be concerned. The only drawback is that US residents are not able to utilize the platform. Binary.com is extremely popular worldwide as it only requires one Euro/GBP/Dollar to open an account with a minimum deposit. 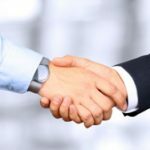 Registering with a regulated broker is a great way for a trader to safeguard their funds and also give them the peace of mind knowing that their hard-earning money is safe with Binary.com. The financial market works like an Over the Counter market thus it becomes tough to subject binary option brokers to such a strict set of rules and regulations, so financial rules and regulations plays a vital role in protecting investors funds while they are in the hands of the broker. In this manner, Binary.com works hard to protect its trader’s funds. They also ensure that their operations are accountable to fiduciary regulations by strictly adhering to the standards set by the governing and regulatory bodies in the financial market. At the current time, Binary.com mobile is not being offered. However, Binary.com is developing a mobile application along with Phonegap. They are an open-sourced client application on Github. Binary.com is a strong supporter of the open-source movement and are involved in open-sourcing multiple codebase components. When it is available, Binary.com mobile trading will be extremely simple to use and promises to deliver fast results. It will be able be used everywhere and will include all of their current options that are offered on their online site. Traders will be able to use it while on the go and execute trades from anywhere. They will also be able to keep an eye on their open options as they will be able to follow the market at all times. There are several platforms that have already been optimized for the use on mobile devices for binary trading. There are quite a few native apps that are available for IOS and Android users alike. These are Web-Apps which work independently of the operating systems but work directly in smartphone browsers for those who have internet access or mobile date for their mobile device. The invention of potent smartphones has helped make the transition from personal computers to mobile binary trading a great deal easier. It has paved the way for the possibility of a Binary.com mobile app in the near future. However, since many of today’s smartphones have about the same capabilities as the average PC or laptop, traders are able to monitor their trades and are also able to take advantage of new trades regardless of their location, with or without the use of Wifi or a modem. Most binary options brokers are aware that this is a great feature for their traders so they are seriously considering creating mobile platforms that are advance so they will be able to provide Web-Apps for their clients. Binary options is such a simple means of financial trading and there are not a great deal of requirements for a mobile platform. Binary options can easily be threaded over smartphone devices. Traders do not need as many features to be able to utilize Forex Trading or Contracts for Difference. All a trader will need are details such as expiry times and charts regarding their options. Buttons will be available with an interface to enter the amount of the trade. Binary options trading on a mobile device should be relatively easy, regardless of whether the trader is using an Andriod, Iphone or even an Ipad. Binary.com is definitely a nice service broker, it has worked well for me. Nice to hear that. Good luck with your traders.